It seems that global fast-food giants have employed the services of popular local YouTubers in their bid to engage the eyeballs of the local population. 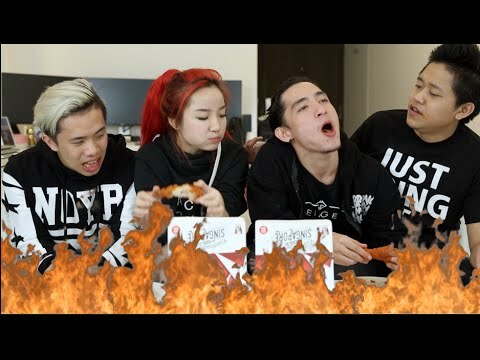 Kentucky Fried Chicken (KFC) recently launched an extra spicy version of their fried chickens called Red Hot Fried Chicken, with popular youth YouTuber Tan JianHao coming up with a cheesy song to feature the delicious-looking bucket along with his motley crew of hilarious comics. Ron is known for his love for food in his and other YouTube collaboration videos, where he himself also posted a video regarding KFC’s Red Hot Chicken with Flaming Hot Sauce - embedded below. McDonalds also rejuvenated their menu, introducing truffle-flavored fries and red velvet themed ice cream and smoothies, probably in line with the national colour of red embossed with a SG50 touch. Cheok has previously appear in advertisements of McDonalds as well. We aren't sure if the people watching the advertisements would actually get the wrong idea that if they eat MacDonalds, they would become bald like Mr Jonathan Cheok himself. About Us: Joining Bakerro.com, Singapore’s Baking Community & Forum, is completely free for users to join and post anything - be it promoting your online bakery, sharing your passion about baking, reviewing the latest baking equipment, selling your old baking equipment at our Marketplace and anything related to baking and cooking! See you on our forum! All times are GMT8. This page was generated at 08:34 PM.